Don't disappoint food critics with undercooked meals; use a testo food thermometer for better accuracy. When a food critic steps into the restaurant, it can start to feel like every stove top burner is cranked to the highest temperature. Platforms like Yelp and other respected industry publications can make or break the success of a new restaurant, no matter how well prepared the meals are. Their presence turns the spotlight to the head chef, who needs to ensure everything at the back of the house is going right so the front of the house comes out on top. There's no greater threat to this balance than food quality. You've cooked that steak to a perfect medium rare over 1,000 times with no complaint – but the stakes weren't always as high. Knowing the patron you're going to plate for can have a detrimental impact on your restaurant's success can make kitchen staffs nervous, Jonathan Gold, food critic for the Los Angeles Times, told the Huffington Post. Ensure high food quality standards with tools like the testo 105 food thermometer. "Sometimes restaurants can be intimidated I guess," Gold said when asked about one of his visits to a new diner in L.A. "…I walked in a couple of weeks ago. One of the cooks ran back to the kitchen and everybody hid." Even the best begin to question themselves when the spotlight shines the brightest. This can lead to fish being pulled out a few minutes early so it doesn't dry, or chicken being over cooked to prevent any foodborne illnesses. Both can lead to a poor review – or even a sick critic – and could be easily avoided with an effective food thermometer. There are a lot of variables to worry about when a food critic visits a restaurant. Food poisoning shouldn't be one of them. But the Association of Food Journalists recommends its reviewers order a variety of foods off the menu, which could lead to a mistake being made. 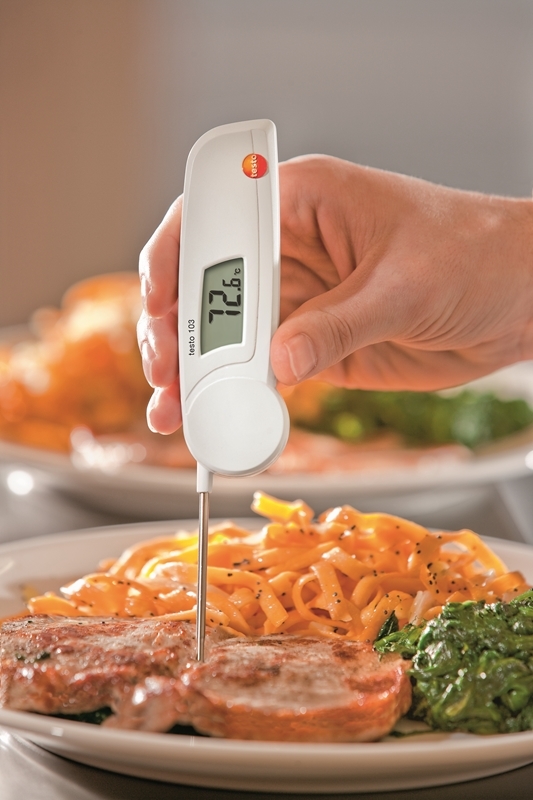 The testo 103 makes it easy for chefs to test core temperature to avoid foodborne illnesses. Quick and accurate tools like the testo 103 mini folding thermometer are ideal for kitchen staff in this situation. 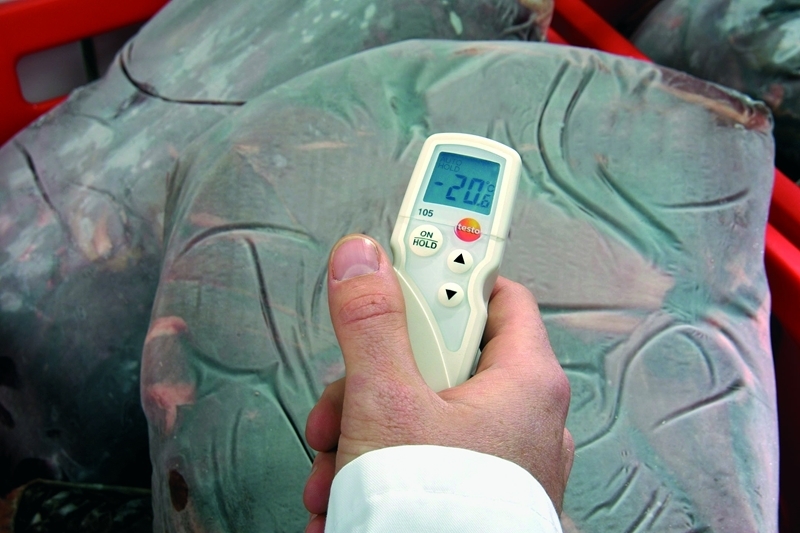 It offers versatility that other solutions can't; chefs can easily test the temperature of solids and liquids with a HACCP-certified device that fits in the front pocket of the average chef's jacket. Restaurants can take food safety one step further by evaluating their food shipments to ensure the stringiest quality standards are upheld. The testo 105-1 food thermometer can test an array of foods for safety quality before they're put into storage. Food critics evaluate more than how flavourful a dish is – don't let your restaurants reputation hinge on an undercooked meal. Contact a Testo representative today for more information. Previous PostWhen was the last time you calibrated your gas analyser?